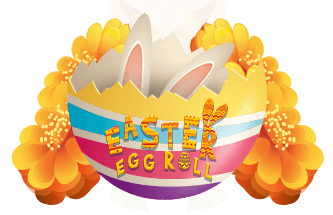 Join our Easter Egg Roll at Intertops Casino and crack open daily bonus eggs. Play every day to increase your chance to get a surprise cash prize at promotion's end. Click on the button below and check out the page each day to crack your daily bonus eggs! * The promotion runs from April 15th - 22nd 2019. * The more coupons you redeem and the more you play at Intertops Casino during the promotion period, the better your chances for the USD 500 cash prize draw. The lucky winner will be informed in the last week of April. Honoring the great Mexican tradition of the Mariachi band which plays at weddings, we are looking to bring joy and fun your way in our new The Mariachi 5 slot at Intertops Casino. Get your bones moving - with coupon MARIACHI you can play with up to USD 500 extra plus many spins on top. * This bonus promotion expires on April 30th, 2019. 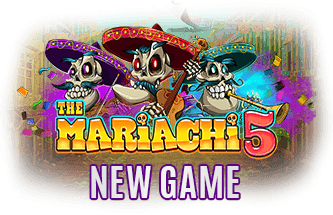 * The free spins are only valid for "The Mariachi 5". 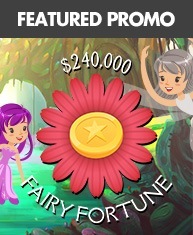 Enchanted winnings await you in our Fairy Fortune promotion at Intertops Casino! 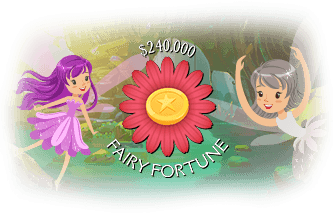 Good fairies will lead you to your share of $30,000 in weekly giveaways, plus a special cash prize at promotion's end. 300 magical leaderboard prizes are awarded each Monday to our top players - earn bonuses of up to $500! Deposit and play $75 or more at Intertops Casino to qualify for the weekly "Monday bonuses". 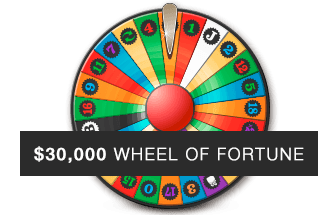 Earn 1 point for every $100 you play on any game in the casino. The more points you earn, the bigger your prize could be each week! * The promotion runs from March 4th - April 29th, 2019. * The $1,000 cash prize winner will be announced and credited on Tuesday, April 30th, 2019. * Monday bonuses ($30-$500) are awarded to the top 300 players each week and are sent by email. * If there's a public holiday on Monday or any unforeseen issues or circumstances, Intertops reserves the right to award the prizes on Tuesday/the next working day or any other day of the week after the issues have been solved. Welcome to Intertops Casino! Sign up now for your 100% Match Bonus up to USD 100 on your first casino deposit (minimum deposit of USD 20 - currency in the Casino / Casino "chip transfer" is USD)! Your bonus is only one step away! 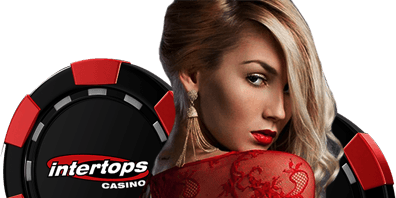 All you have to do is to register for an Intertops account, then download the software or start the instant play version! Make your first deposit, transfer it to the casino and receive your bonus (minimum deposit USD 20). * The minimum deposit amount to qualify for the 100% Match Bonus is USD 20. Currency in the Casino / Casino "chip transfer" is USD. * The maximum bonus amount is USD 100. 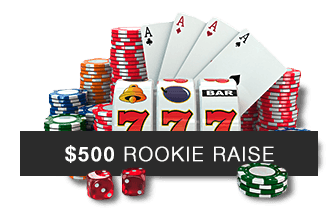 Rookie Raise - Get over USD 500 more! 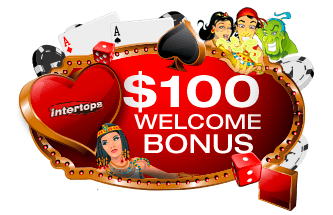 Take advantage of our special bonus offer for new customers at Intertops Casino. Grab more than USD 500 in bonuses with an extra free bonus on top! Discover the many benefits that go along with being a Rookie on our team! * The minimum deposit amount is USD 20 per coupon. Currency in the Casino / Casino "chip transfer" is USD. * The $25 free bonus will be sent by email within the first week of the following month after redemption of coupon #4. Play anywhere, anytime with our Mobile Casino - available on Apple, Android and more. 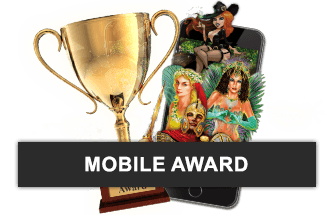 Get a chance to win a Mobile Award of up to $100 each week. * The draw takes place each Wednesday. Free bonuses between $20-$100 are awarded to 20 players. * To qualify for the draw, a player needs to deposit a minimum of USD 50 and wager a minimum of USD 500 in the Intertops Mobile Casino from the previous Wednesday to Tuesday. Earn Intertops COMP POINTS every time you play in the Casino and simply transfer them into cash later! 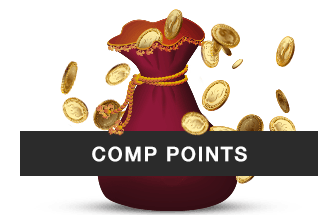 To transfer your COMP POINTS into Casino credits, go to the Cashier and click on “Comp Points” and enter the amount of points you want to redeem. * Live dealer games do not count for comp points.